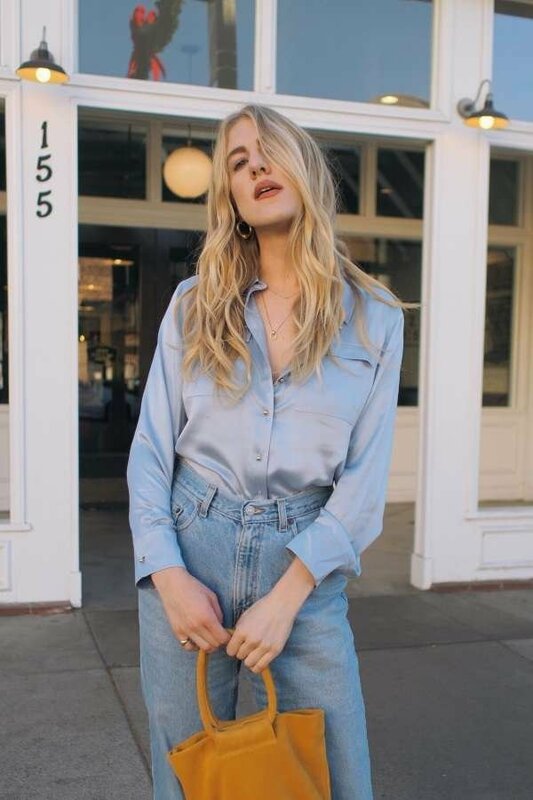 This double-pocket silk button-up shirt is the real deal. She can do it all, just like you. Wear her to work and go straight to date night, and everywhere else in between. A luxurious silk blouse for you go-getting ladies always on the run.
" Every now and again, I find a piece of clothing that just makes me feel super confident, sophisticated, and chic like I can do anything and take on the world. " " I know I will be wearing my Ravella top for years to come and I can’t wait to see how many different ways I style it. It really is a timeless piece! " " This blouse is soft to touch and the color is like nothing else I have in my closet. My favorite part is it doesn't need to be dry cleaned. "